A very good copy of this classic book of children’s verses by A. A Milne. 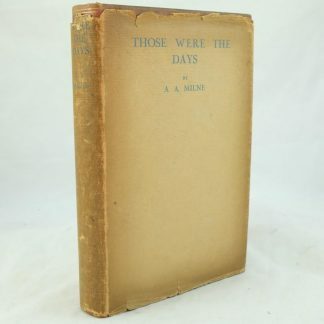 When We Were Very Young has a later issue dust jacket. Black and white classic illustrations throughout the book by E. H. Shepard. 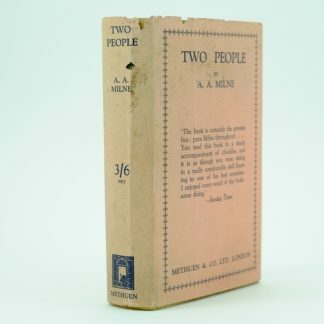 The contents page is numbered 1x and is a first edition, second issue publication. 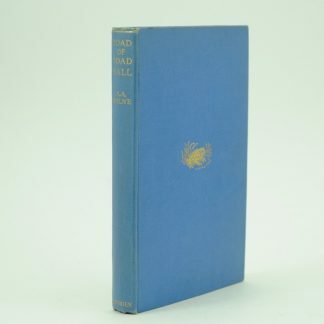 Original blue cloth boards with bright gilt lettering and illustrations on the covers. The spine is a touch darkened and the spine ends are bumped. A tiny yellow spot on the upper cover. Top edge of the pages are gilt. The front free end papers are partially toned. The contents are clean with a small mark on the hinge of page 64/5. This hinges are a little frail in places and holding well. 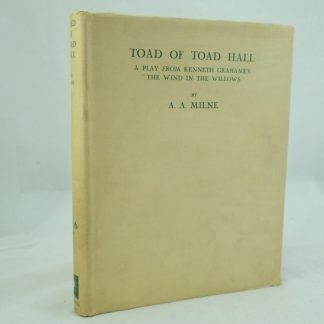 The later dust jacket advertises Winnie the Pooh, Fourteen Songs from When We Were Young 9th edition, Teddy Bear and Other Songs and a second edition King’s Breakfast which were all published in 1926. 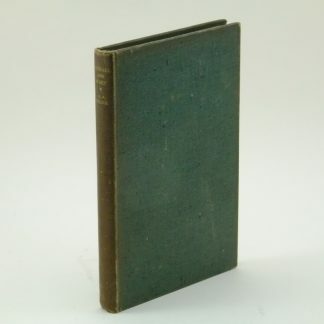 The dust jacket has a facsimile repair on the foot of the spine. There are chips and fraying on the spine ends and wear to the top edge of the jacket. 8vo. 100 printed pages.